The customer reviews on this item are really wild – amazingly ALL of them are really having fun with it, and isn’t that what we learn from Harry Potter’s training on how to overcome our own fear of fear – see it as ridiculous and call it that. 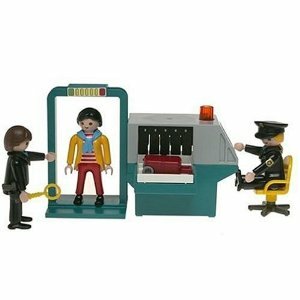 I purchased the Playmobil Security Check Point for my two year old nephew. (He acts three when he chokes.) I wrapped this gift for his birthday and packed it in my carry-on bag, whereupon I proceeded to check into my Delta flight to attend his birthday. I put the carry-on bag on the conveyor belt, and the bag disappeared into the x-ray machine. The TSA official staring at the x-ray monitor became agitated and beckoned for another TSA official to look. The conveyor belt moved back and forth several times with my bag still in its bowels, presumably because the TSA officials wanted a better look. By this point I was standing at the far end of the x-ray machine, waiting for my bag and my nephew’s birthday gift to emerge. However, the second TSA official asked me to follow her. I did, and she took me to a room a few steps away from the conveyor belt. A man wearing a black leather jacket was waiting in the room, and the female TSA official left and closed the door behind her. “I am Heinrich,” he said. “Your papers, please,” he ordered. I handed Heinrich my driver’s license and my Amazon credit card. After turning on some bright lights that shined directly into my face, Heinrich then asked me a serious of questions: whether I was married, whether I had any girlfriends or boyfriends, have I ever been to Botswana or Finland, the name of the Vice President of the United States, and how many times I had checked in for an airline flight in the past 30 days, among other questions. Each question grew louder and louder, and Heinrich got closer and closer. By the tenth question I was awash in Heinrich’s spittle, and I found it difficult to breathe. Then I remembered that I had a Delta Gold Medallion card in my wallet. “But I’m Gold on Delta,” I stammered. “It’s in my wallet, right behind my Blockbuster card.” Heinrich fished around in my trouser pocket until he found my wallet. Then, sure enough, he found my Delta Gold Medallion card which still had two months left before expiration. 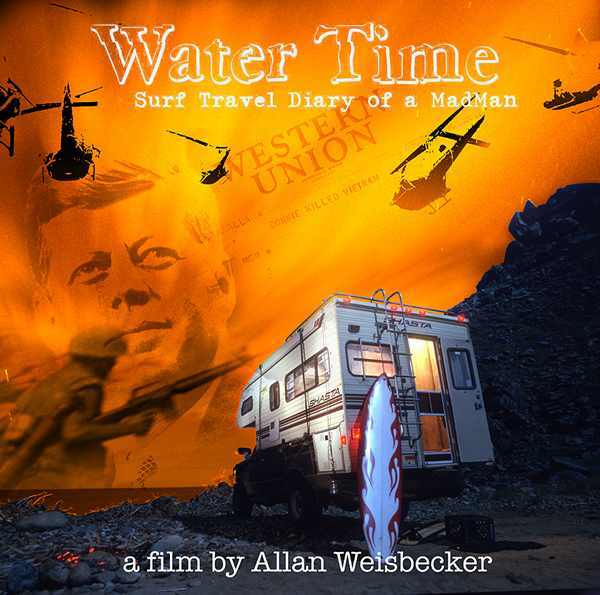 This entry was posted in Fun Stuff, Politics and tagged airport security, education, TDA, toy on February 28, 2008 by Merlin Silk.